Judge Stanwood R. Duval, Jr. was a United States District Court Judge, Eastern District of Louisiana, New Orleans, LA (October 1994 to January 2017). Presided over wide range of cases including complex maritime litigation, contract disputes, large scale insurance coverage disputes, commercial litigation, employment law issues including Title VII, FLSA (such as collective actions), ADEA, ADA, and Civil Rights, ERISA, products liability cases, and interpretation of collective bargaining agreements. In 2005, created and undertook the management of In re Katrina Canal Breaches Consolidated Litigation which consisted of all of the litigation arising out of the failure of the levee system in the New Orleans area after Hurricane Katrina. This umbrella case had over 1,200 suits comprised of hundreds of thousands of claims. He rapidly, economically, and systematically adjudicated thereunder the legal issues necessary for determining liability and responsibility for the breaches of the levees and floodwalls surrounding Orleans, St. Bernard and Plaquemine Parishes, as well as, inter alia, insurance coverage and maritime issues. Drafted the Admiralty chapter of the Fifth Circuit Pattern Civil Jury Instructions (2014). Senior Partner, Duval, Funderburk, Sundbery & Lovell, Houma, LA (1986 – 1994). Partner, Duval, Funderburk, Sundbery & Lovell, Houma, LA (1966 – 1986). Participated as lead counsel in hundreds of trials involving mineral law, corporate disputes, personal injury, commercial litigation, probate and estate disputes, state and local taxation issues, utilities litigation, contract disputes, municipal law, and a wide range of other topics. Served as lead counsel in approximately sixty appellate cases, including appearances before the Louisiana Supreme Court and the United States Fifth Circuit Court of Appeal. “AV” rated, Martindale-Hubbell at that time. Also served as Parish Attorney for the Terrebonne Parish Consolidated Government from 1888 to 1993. Affiliations: Member of the Advisory Committee on Appellate Rules to the Judicial Conference of the United States Courts from 1997 to 2003, the Council of the Louisiana Law Institute from 1996 to 2000, and the Fifth Circuit Judicial Council from 2004 to 2007. Elected to the Louisiana Constitutional Convention of 1973 and served on the Committee to Write Rules of Procedure and the Committee on Executive Branch. Admitted to the Bar of the State of Louisiana, April 28, 1966. United States District Judge for the Eastern District of Louisiana, October 1994, Senior Status as of December, 2008. Member, Executive Committee for the district court, April 2012-October, 2008. Chairman, Local Rules Committee for the district court, April, 2012-April, 2016. Member, Equal Opportunity Rules Committee for district court, April, 2012-April, 2016. Member, Committee on Pattern Jury Instructions, District Judges Association, Fifth Circuit, Admiralty Section, 2011 to present. Representative to Judicial Conference of the United States Court of Appeals for the Fifth Circuit, 2004-2007. Member of the Advisory Committee on Appellate Rules of the Judicial Conference of the United States Courts, 2003-1997. Undertook the management of all of the litigation arising out the failure of the levee system in the New Orleans area after Katrina. Under the umbrella case noted above, at the height of the litigation, had over 1200 cases which comprised hundreds of thousands of claims against the United States Army Corps of Engineers, the State of Louisiana, all of the Levee Boards, the Responders, Insurers, Engineers and Contractors, Dredgers, and the Barge that allegedly caused the breaching of the Industrial Canal flood wall. As a result, the United States District Court for the Eastern District of Louisiana has systematically adjudicated in as rapidly and as economically as possible all of the legal issues necessary for determining liability and responsibility for the breaches of the levees and floodwalls surrounding Orleans, St. Bernard and Plaquemine Parishes. Mumford v. Ingram Barge Co., C.A. No. 05-5724; Benoit v. Lafarge International, Inc., C.A. No. 06-7516, which concerned the allegation that a loose barge was a cause of the collapse of the flood wall on the eastern side of the Industrial Canal. Held that under the Due Process Clause and the Equal Protection Clause of the United States Constitution, it was unconstitutional to require persons who solely manufacture and sell caskets to be subject to licensing requirements for funeral directors and funeral establishments finding that such requirements were based solely on economic protectionism. Denied of Limitation of Liability based on Captain’s negligence in bringing ship into port of New Orleans when port was in imminent danger of hurricane force winds. Presided over jury trial which found the District Attorney of New Orleans liable for intentional discrimination where he fired 56 employees, resulting in 96.3% of the African Americans in that office retaining their positions and only 32% of the Caucasians retaining their positions. Prohibited FEMA from wrongfully terminating a statutorily required Short-Term Lodging Program which would have resulted in the premature eviction of Hurricane Katrina evacuees from temporary lodging finding that such housing. 2001: In Re: MasterCard International Inc., Internet Gambling Litigation, 132 F. Supp. 2d 468 (E.D. La 2002). Presided over this MDL panel assigned case concerning RICO claims brought by internet gamblers against VISA and MasterCard. 1998: Margate Shipping Co. v. M/V JA Orgeron, C.A. No. 94-3964, oral order and reasons, affirmed, 143 F. 3d 976 (5th Cir. 1998). Entered salvage award for saving an oil tanker, fuel cells for NASA space shuttle and human life. 1996: Resolution Trust Corporation v. Gerald C. Barton, 1996 WL 117540 (E.D. La. 1996). Complex director liability suit. Exxon Corporation v. St. Paul Fire & Marine Insurance Company, 1996 WL 665751 (E.D. La. 1996). Novel issues regarding insurance coverage. 1995: Dennis Theriot, et al v. The Parish of Jefferson, 966 F. Supp. 1435 E.D. La. 1995). Voting Rights Act suit. United States of America v. Drew B. Morvant, D.D.S., et al, 898 F. Supp. 1157 (E.D. La. 1995). This case involved the right to medical treatment for a person with disability. Other cases over which I presided included issues arising out of ERISA, insurance coverage disputes, commercial litigation, interpretation of collective bargaining agreements, interpretation of arbitration agreements, FSLA, ADEA, and complex criminal litigation. Sovereign Immunity, Anachronistic or Inherent: A Sword or a Shield? 84 Tul. L. Rev. 6 (2010). Considerations in Choosing Counsel for Multidistrict Litigation Cases Mass and Tort Cases, 74 La. L. Rev. 391 (2014). The Discretionary Function: License to Kill? The Federal Tort Claims Act and Hurricane Katrina. Implications of the Robinson/MRGO Decisions: Can the King Do No Wrong? to be published in the Summer 2016 Loyola Law Review, Co-authored with Janet Daley Duval. Senior Partner, Duval, Funderburk, Sundbery & Lovell, Houma, Louisiana, 1986 – July, 1994. Partner, Duval, Funderburk, Sundbery & Lovell, Houma, Louisiana, 1970. From its inception, Mr. Duvals law practice was varied and litigation intensive. he represented, as lead counsel, a cross-section of clients, including banks, electric cooperatives, governmental bodies, small business corporations and individuals which practice required the addressing diverse legal problems. His law firm’s practice involved mineral litigation, primarily representing plaintiff landowners; personal injury litigation, representing both plaintiffs and defendants, including maritime cases; contract disputes; property disputes; insurance questions; successions; drafting of wills and trusts; corporate law; utilities law; local governmental law, and domestic law. He appeared in both state and federal court in approximately sixty appellate cases including appearances before the Louisiana Supreme Court and the United States Court of Appeals for the Fifth Circuit. Some of these cases involved significant issues of law and are cited as precedent. During his last ten years at the firm, he concentrated on mineral litigation, personal injury litigation and commercial litigation. In addition, from 1988 to 1993, he served as Parish Attorney for the Terrebonne Parish Consolidated Government which required representing the parish at trial, drafting legal opinions and drafting ordinances. 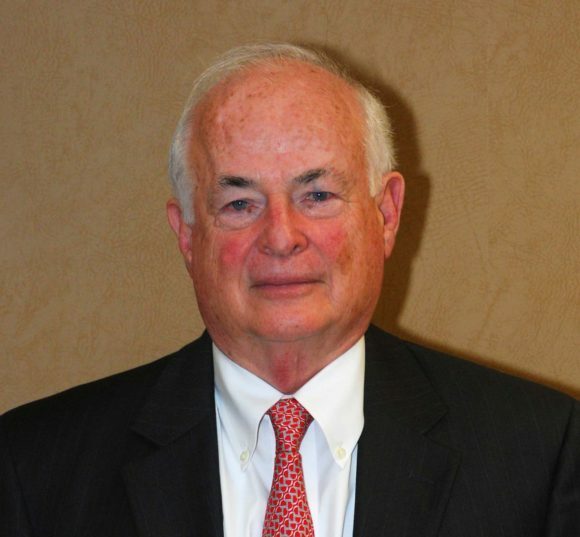 He served as a member of the Board of Directors for the First National Bank of Houma (now owned by Whitney Bank) from approximately 1982 to 1990. He was also a member of the Executive Committee of the bank. Associate, Duval, Arceneaux & Lewis, April 29, 1966. Admitted to the Bar of the State of Louisiana April 28, 1966.